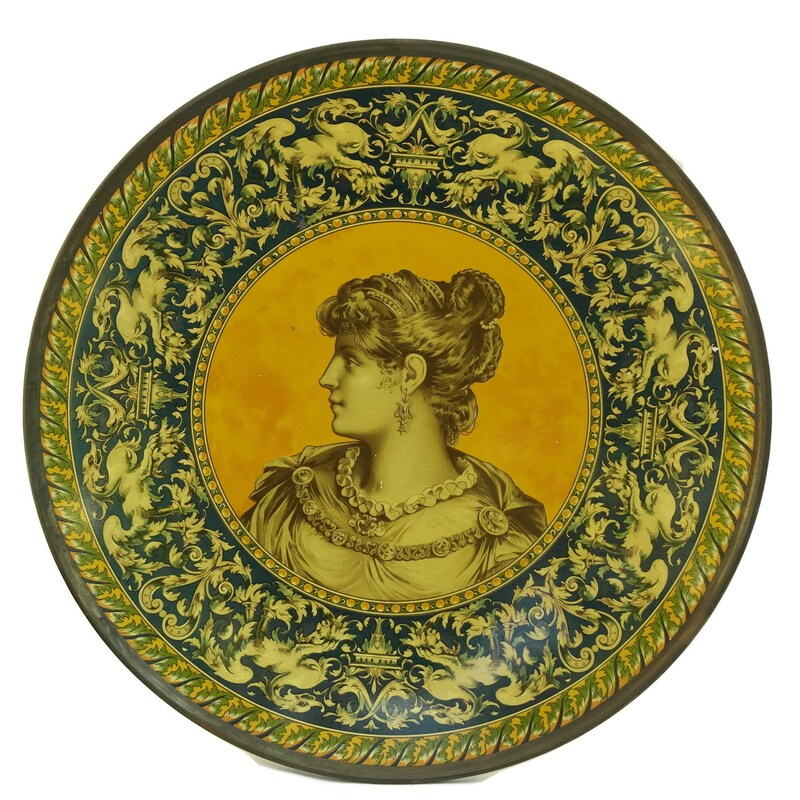 Classical Greece Antique Litho Tin Charger Plate with Lady Portrait. 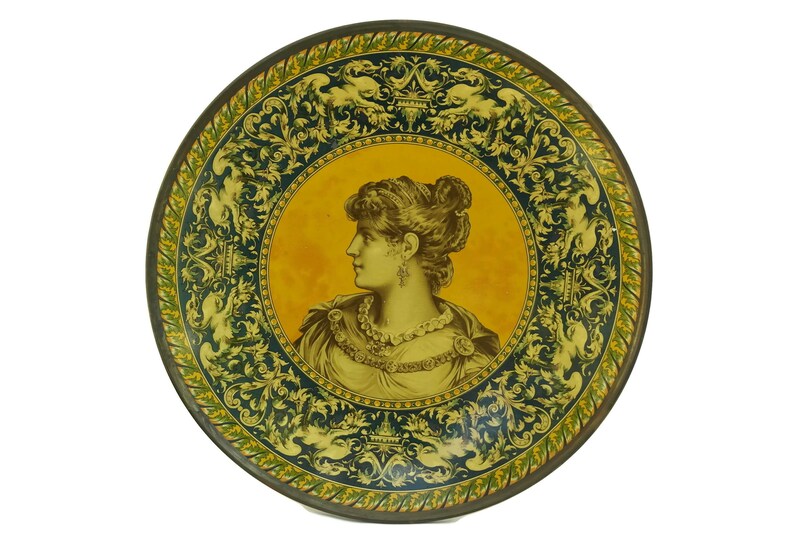 Victorian Art Wall Decor. 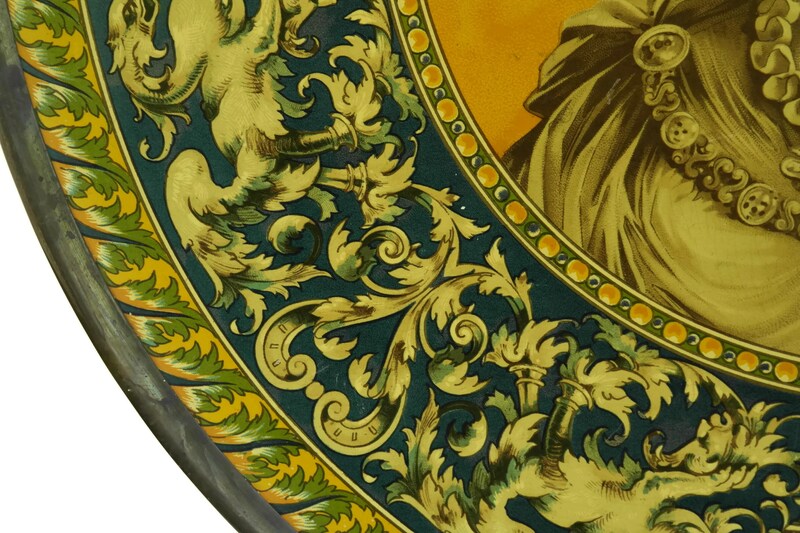 Lithograph Cabinet Plate. 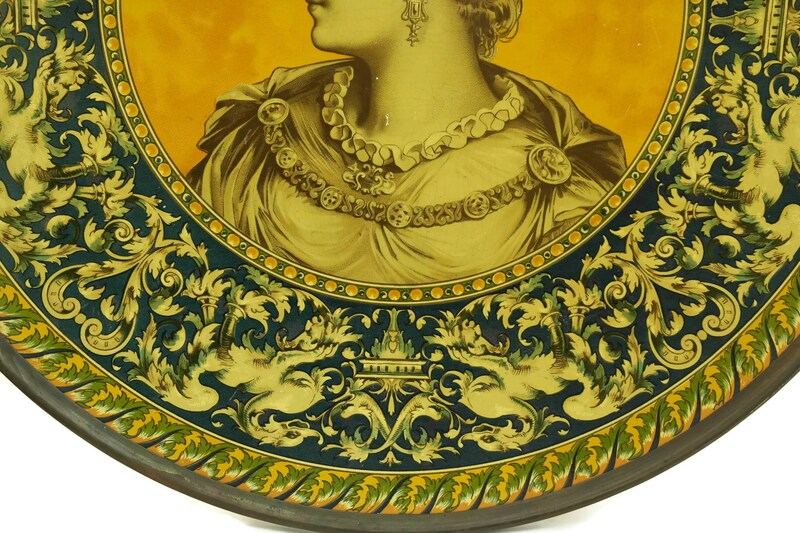 An exquisite antique litho tin plate from the Victorian era that has been decorated with a classical Greece design. 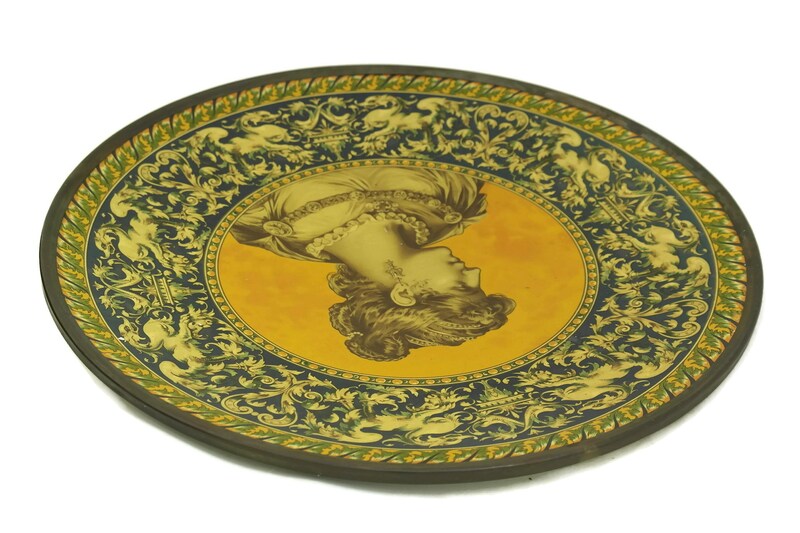 The wall charger plate is a large size and heavy. 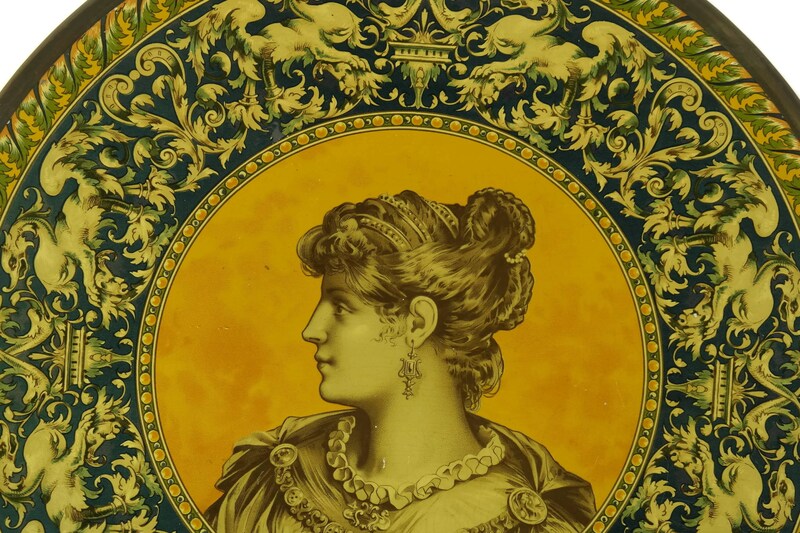 It has been decorated with an ornate lithograph art image with a lady portrait in shades of blue and yellow. 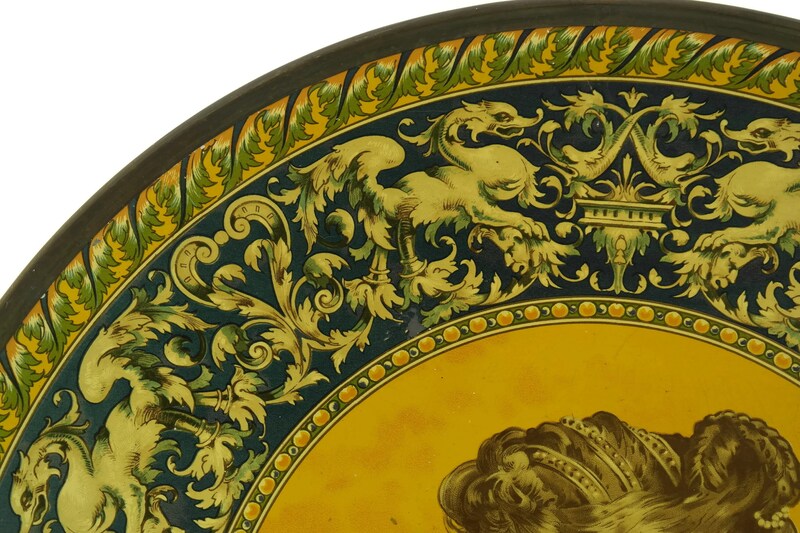 The border features a heavily embellished decor. 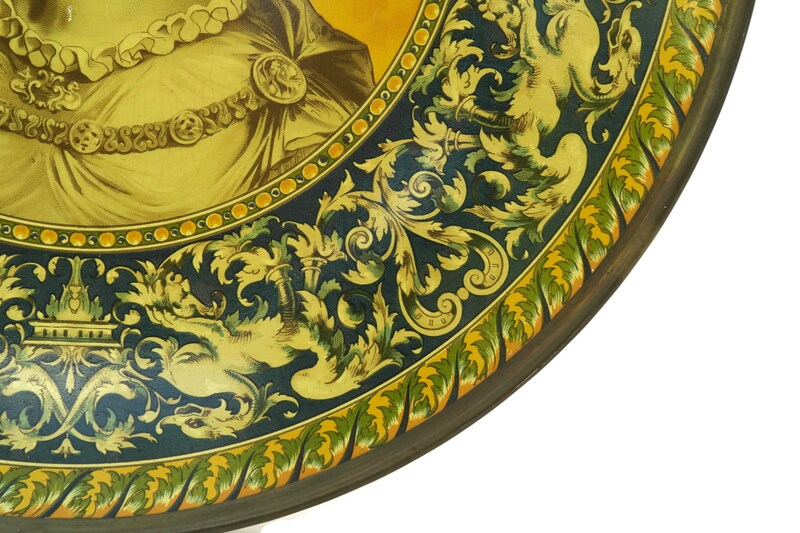 The litho plate has a shallow concave form and the edge has been bordered with a strip of gilt metal. The underside features a handwritten signature. 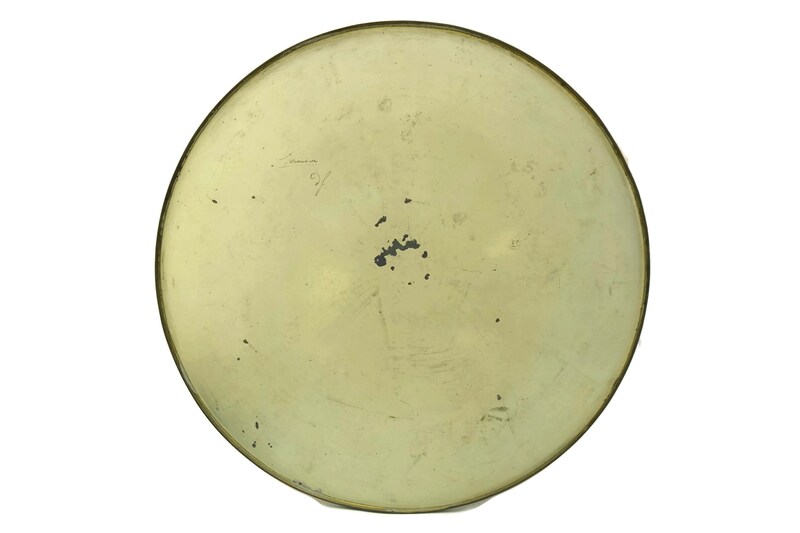 16 & 1/8" in diameter (41 cm). 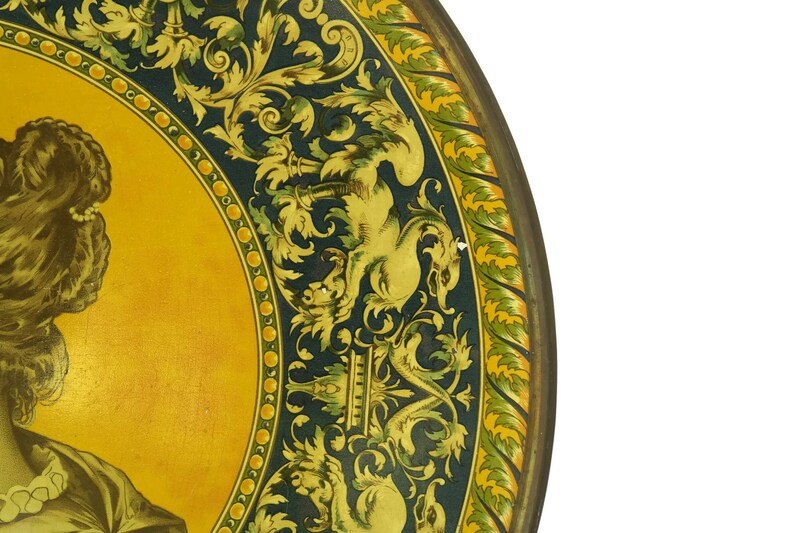 The antique portrait cabinet plate is in very good condition with light surface wear and marks. There are small flakes to the enamel in places.